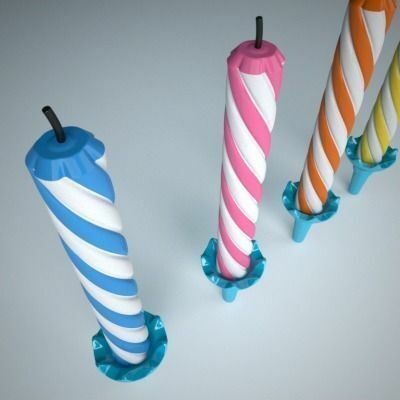 Detailed birthday cake candles with holders. Originally modeled in Maya 2008. All file formats contain identical geometry and materials as seen above with clean and accurate polygonal construction (see wire frame above).